I think committees are a colossal waste of time. Too often they focus on process rather than impact. The typical agenda emphasizes “coloring within the lines” rather than creating collaboration. Attendees are probably there because they are required to be, not because they necessarily have something to contribute. Over time, a committee tends to take on a life of its own. It creates work to perpetuate its existence. It looks for problems to solve in areas where problems didn’t exist until they were created by problem-solving committee members. When I’ve chaired committees I’ve often struggled to understand why the committee was originally created and why it continues to exist. I’ve been a member of committees where I was able to catch up on my reading while held hostage by PowerPoint presentations intended to torture me with a meaningless dump of information. As a nonprofit leader, I’ve staffed numerous committees where I wondered how to best use the time of busy volunteers who thought committee work was a good way to be engaged in a worthwhile cause. Too often I find myself sitting in a boring meeting, reading a dull newsletter or yawning through another pointless PowerPoint presentation. Excellent advice, Steve! Effective communication must have a purpose. As simple as that sounds, communications planning too often begins at a tactical level. In a meeting someone might say, “We need to raise awareness!” My immediate question is “WHY?” Raising awareness is a means to an end, yet we tend to think that “getting the word out” is the ultimate, end objective. Tactics not tied to strategy only contribute to the noise and clutter. To help me think more strategically and communicate more effectively, I developed the following chart to visually illustrate how certain questions should be asked in the right sequence. Purpose and Goal. First, why do we want to communicate? What do we want to accomplish? What measurable outcomes do we we hope for? Target Audience. To whom are we trying to communicate? What do we know about our primary audience? What is our relationship with them? Are there secondary audiences who might be looking over the shoulder of the primary audience? Desired Impact. Once the target audience has received our message, how do we anticipate they’ll respond? What actions do we want them to take? Key Message. In one sentence, what single message do we want to communicate to achieve the desired results? If time permits, what secondary messages would we like to communicate? Barriers. What perceptions or misperceptions might hinder the effective delivery of our message? Are there other barriers that might obstruct our communications? Media. What are the most effective ways to deliver the message to the target audience? What is the right combination of traditional and new media? A newsletter? Print ads? Web site? Billboards? Twitter? 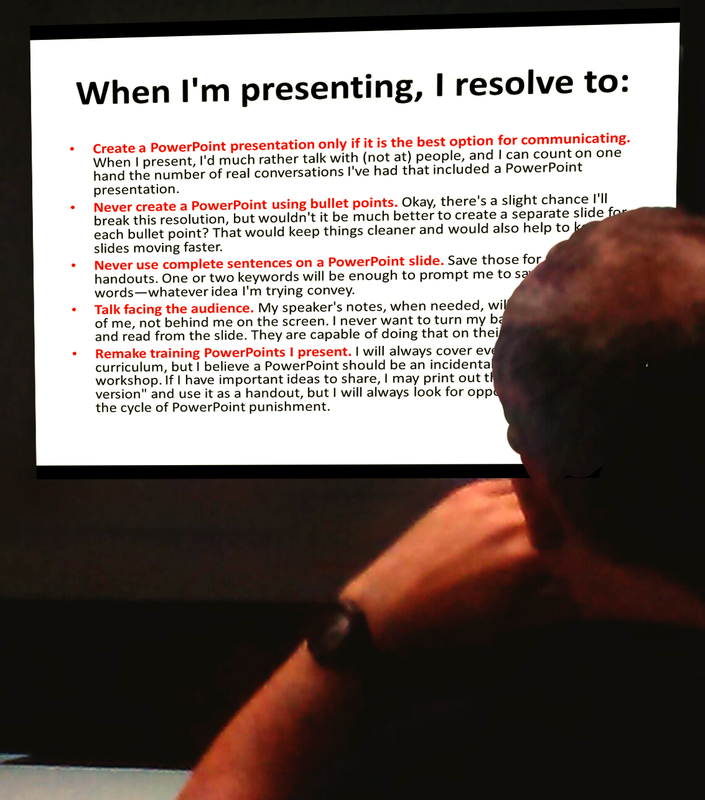 Verbal presentation? Facebook fan page? A blog? News release? Communications Activities. What specific tasks must be completed to achieve the strategic objectives? Who will assume primary responsibility? Who else will be involved? When is the deadline? What budget is available? How will we measure success? My mantra is simply this: Think strategically before acting tactically. Anyone with me?